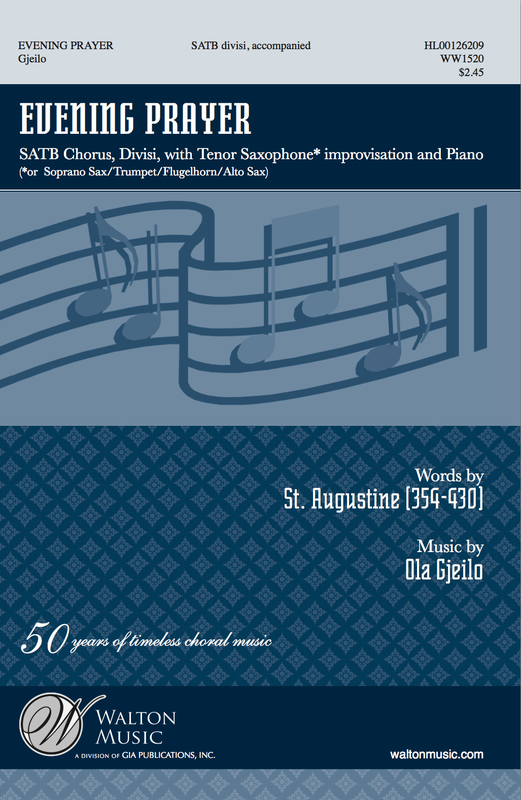 Evening Prayer from 2010 was my first choral work incorporating instrumental improvisation, with solo improv passages for the tenor sax (or alternative instrument). Having grown up with my father being a good amateur saxophonist, and more recently collaborating with Phoenix-based Ted Belledin, doing entire sax/piano duo concerts together that are completely unplanned and improvised, I wanted to find a way to combine our playing with the Chorale. It was the final piece written for the Phoenix Chorale during my 2009-2010 residency with them, and their benchmark recording of the work, which is the final track of their Northern Lights album (Chandos, 2012), is also available on YouTube, iTunes, Amazon, Spotify, etc.